Now Parris’ traveling, like McRae’s, is over. “Boston’s First Lady of Jazz,” as she was known, died on June 17 at the age of 66 at Cape Cod Hospital in South Yarmouth, Mass. A blonde, zaftig, vivacious earth mother with a voice as deep and swaggering as a tenor saxophone, Parris could blow on a standard with freewheeling imagination worthy of Ben Webster, and she swung just as hard. Parris earned the respect not just of McRae but also of Sarah Vaughan and Shirley Horn, both of whom were her friends. On the walls of her home in Duxbury, Mass., hang nine Boston Music Awards. Although she never quite broke through on a national level, her career was studded with proud moments. In the mid-’90s she toured with vibraphonist Gary Burton to promote their GRP CD, It’s Another Day. 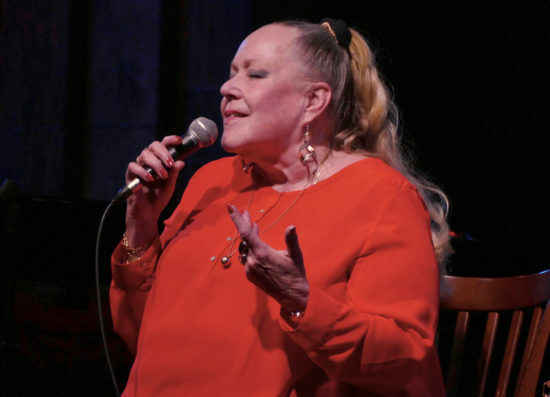 She recorded nine other albums, including an acclaimed ballad collection, My Foolish Heart (Koch Jazz), featuring her longtime pianist, George Mesterhazy. She played Japan with the Monterey Jazz Festival All-Stars and opened for Count Basie and Ray Charles. When she and Dizzy Gillespie were both working at the Charles Hotel in Cambridge, Mass.—she in the Regattabar, he in the ballroom—they sat in with each other. The hard knocks came in equal number. Born Ruth Blair MacCloskey on December 28, 1951 in Needham, Mass., Parris was a much-ridiculed school misfit, taller than everyone else and covered with eczema. Her voice was her salvation. After a few years singing in a Top 40 cover band, she switched to jazz and won almost immediate attention. But demons loomed. Early on, Parris was drawn to abusive lovers; she developed addictions to cigarettes and food that she never shook. In her fifties, illness set in. She suffered a heart attack in 2004, followed by osteoporosis. Parris came to rely on two crutches, but she soldiered on, performing seated. According to her adopted daughter, Marla Kleman, she sang for the last time within hours of her death, at a jazz night at the Riverway Lobster House on Cape Cod. On piano was Paul McWilliams, her life partner for 34 years. After exiting the restaurant, she collapsed and was taken to the hospital, where she died peacefully. Read James Gavin’s 2003 JazzTimes article on Rebecca Parris.